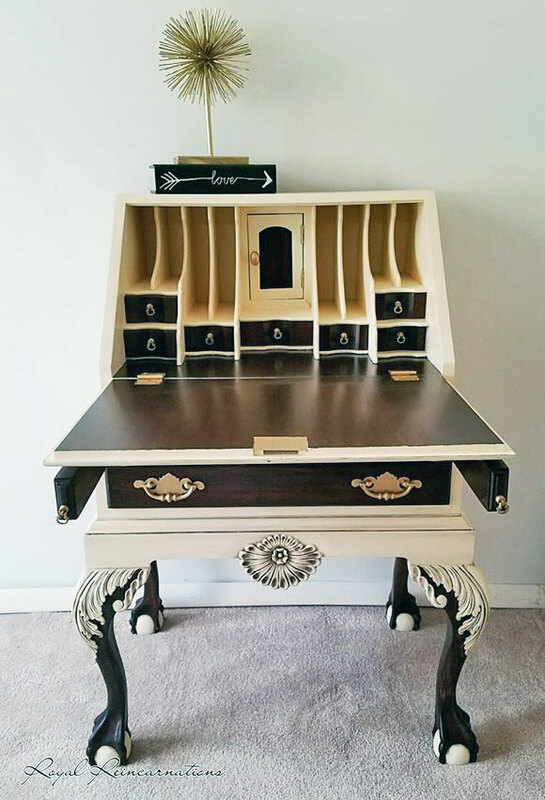 This absolutely stunning Vintage Secretary Desk has been handpainted with my custom made chalk paint recipe using Sherwin Williams Arrid Sands. I then meticulously glazed this beauty using Black Antiquing Glaze. All exposed wood has been stained using General Finishes Java Gel Stain. 18k Gold Leaf has been applied to all hardware. 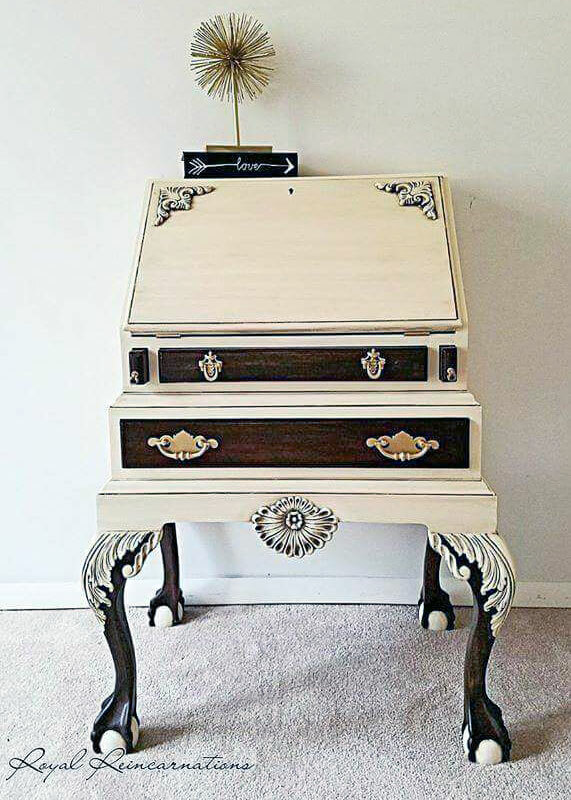 This desk has been sealed in General Finishes High Performance Top Coat to ensure many years of lasting durability!